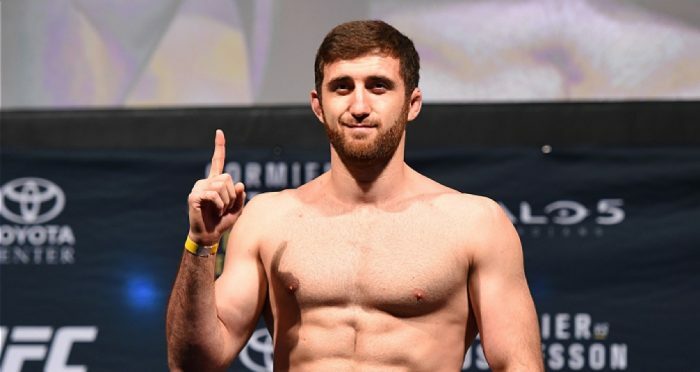 UFC heavyweight competitor Ruslan Magomedov has received a lifetime ban from USADA following multiple violations of the company’s anti-doping policy. Ruslan Magomedov is the first fighter in UFC history to receive a lifetime ban from USADA. On Monday, USADA (United States Anti-Doping Agency) announced that the Russian heavyweight had received a lifetime suspension after multiple violations of the UFC’s anti-doping policy. Magomedov had previously been suspended for two years back in 2016 after he tested positive for Ostarine, a banned substance at all times for athletes competing in the UFC. The latest violations came after Magomedov failed another drug test administered out of competition and then failing to allow himself to be tested on another occasion that ultimately led to his lifetime ban from the sport. “Magomedov, 32, received a second violation after he tested positive for methyltestosterone metabolite 17?-methyl-5?-androstan-3?, 17?-diol, as well as stanozolol metabolites 3’-hydroxystanozolol-O-glucuronide, 16?-hydroxystanozolol-O-glucuronide, and stanozolol-N-glucuronide, as the result of an out-of-competition urine sample he provided on October 10, 2018,” USADA officials said in a statement. “Methyltestosterone and stanozolol are non-Specified Substances in the class of Anabolic Agents and prohibited at all times under the UFC Anti-Doping Policy, which has adopted the World Anti-Doping Agency (WADA) Prohibited List. Magomedov is now the first fighter under the UFC’s anti-doping policy to receive a lifetime ban for multiple violations. 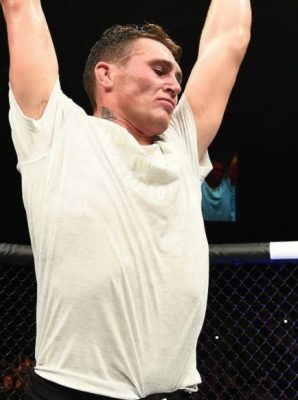 He last competed in the UFC in 2015 where he moved his record to 3-0 inside the Octagon. Now his UFC career is over after receiving the lifetime ban from USADA.